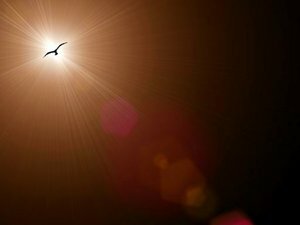 Lensflares on plain backgrounds with a flying bird. The bird outline is courtesy of ObsidianDawn.com. I made this series too big, and the filter has pixelated the large image. Probably best used only for the web.